Refinancing is an excellent way for you to better manage your non-recourse loan or mortgage, and our team can help. But many people feel like this is a time-consuming process, and one that doesn’t fully give you the best bang for your buck. The non-recourse lenders at First Western Federal Savings Bank are here to explain why refinancing is an excellent financial opportunity, and why it’s one you should take advantage of. Find out more in our blog, and get in touch with our team today to get started. This is one of the most well-known outcomes that can come from refinancing your non-recourse loan. Oftentimes, people with poor or nonexistent credit scores suffer when they have a loan, usually stacked with high interest rates that raise their monthly payment. After paying off these loans in a consistent manner and working with credit (like credit cards) responsibly, your credit score will rise, meaning you have a better opportunity to refinance your loans. 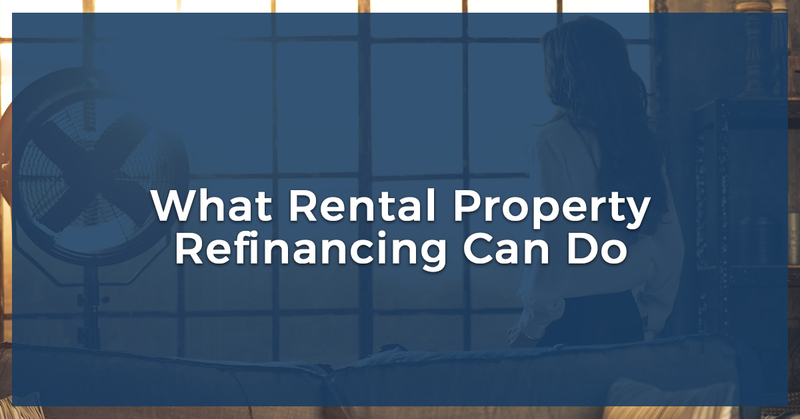 Refinancing is a great way to show non-recourse lenders that not only have you been responsible with credit and are a trustworthy borrower, but that your rental property has experienced success, and that you’re a worthy investor. Here is a great example: If you currently have a 25 year $200,000 mortgage at 7.5%, your monthly principal and interest payment comes to $1,478. If you can refinance at 6.375%, you can cut that payment to $1334, a monthly savings of $144.00. Saving almost $150 on a monthly payment is a lot, especially when considered over time. In the long haul, this will save you thousands of dollars. All of this because you took the time to inquire about refinancing for your rental property. Saving money is always an excellent plan, but with some money that’s no longer going towards interest rates, you have a lot more flexibility than you might realize. Even just by saving $80 a month through refinancing, this is almost $1,000 a year. Take that extra grand and pay off any remaining debt, worry a little less about some of the house upkeep projects that are looming in the distance, or designate the funds for something fun! Perhaps the best thing you could do with these added savings is invest them back into your rental property. Have this money either on hand, ready to be used for any fixes that have or are likely to come up, or make the necessary renovations to ensure your rental property is not only functional, but desirable. Once this happens, you can even increase your rent (due to the value of the property increasing, and to help offset costs) — generating even more revenue than simply just refinancing alone. Borrowing loans across several lenders is a hassle, but it could go even further than that. At best, it’s tedious to try keeping track of where your debt and loans are currently at, and to remember which loans go with which lenders. At worst, this could result in a time management problem, in which you’re making payments for some, but forgetting or missing payments for others. Any time you’re late or not following through on your loan payments, you’re traveling down an incredibly slippery slope. If you have any existing loans with our non-recourse lenders, it can be entirely beneficial to refinance other loans with us as well. This way, you’ll simplify the process of paying off your debt. Having loans is like having a bunch of tools: would you rather have them all in one place? Or spread out and scattered around? Reorganizing and restructuring your loans will give you (and likely your lenders) much more peace of mind. The refinancing process is one that seems rather lengthy, and, like anything in life, there are no guarantees. Even if you end up not qualifying for refinancing, you have nothing to lose from trying. Our non-recourse lenders are more than happy to help you during this process, and we promise a quick turnaround time, so that you’re never left waiting. Contact our team today to get started.